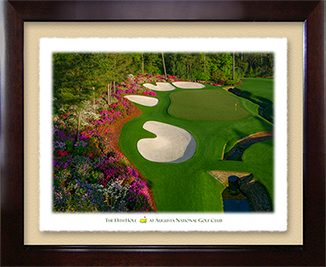 Amen Corner® is comprised of the 11th, 12th and 13th holes at Augusta National Golf Club. 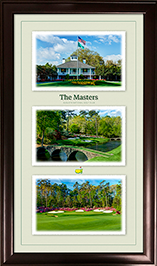 From the White Dogwoods & Pond along the 11th hole, to crossing Rae’s Creek on the Ben Hogan Bridge leading to the 12th green, to teeing off and then crossing the Byron Nelson Bridge leading to the 13th fairway and the over 500 yards of Azaleas along the 13th hole -- this is golf at its most beautiful. 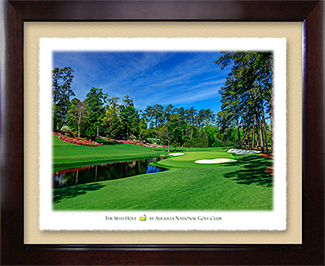 The Photographs of the three Holes of Amen Corner are printed on self-matting semi-gloss paper with a cream background and placed in a Espresso Colored Frame with archival materials under acrylic glass. 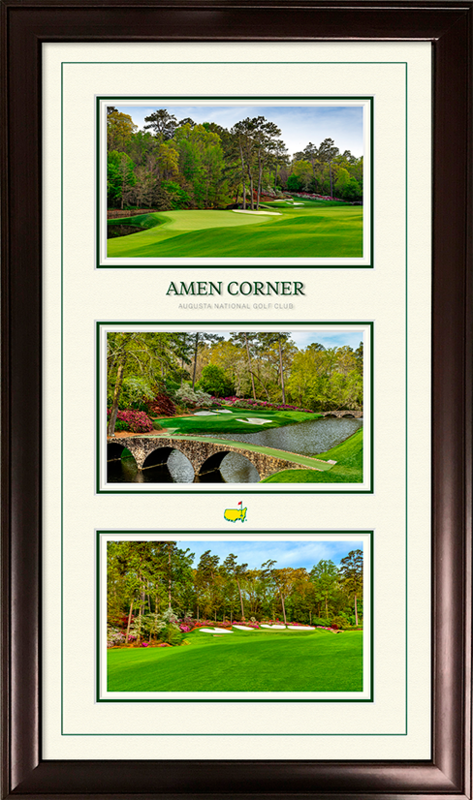 The print is Titled “Amen Corner”, “Augusta National Golf Club” and has the club Logo. The 11” by 20” Print in an 12.75” x 21.75” Espresso Colored Frame.